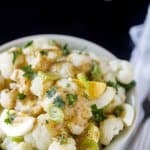 If you’re following paleo, keto or any low-carb diet, you will love this cauliflower salad because you’ll get the same flavor of your favorite potato salad minus the carbs. It is perfect for summer barbecues or winter slim-downs. I am a big fan! 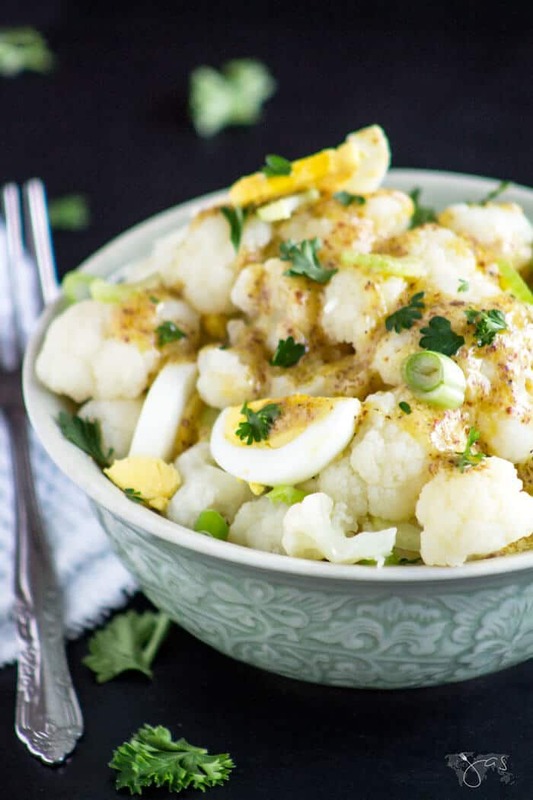 Cauliflower soaks up the flavor of the dressing really well because of all its creases and crevices. 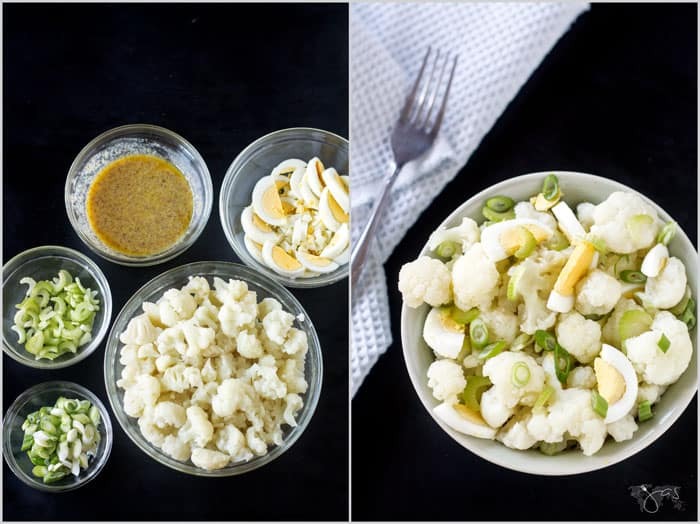 The whole family will love this easy-to-follow cauliflower salad recipe. I have always loved cauliflower even then when food used to trigger gag reflex due to my anorexia. One of dishes mom knew I’d eat was simple cauliflower frittata. I would eat it for breakfast, lunch or dinner. Now that I actually love food so much, I have to be careful of what and how much I’m eating. Carbs are a biggie but giving up rice and potatoes is easy for me because I’m a big fan of cauliflower. Whether as a salad, “rice”, “steak” or a topping for pork chops, cauliflower is often on my menu. I even got my husband liking it no matter how it is prepared. 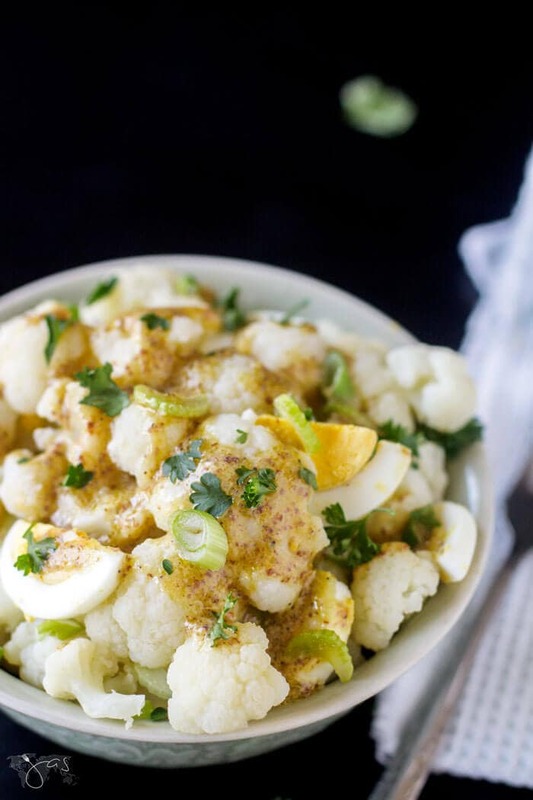 Did you know cauliflower has 28 science-backed health benefits? What’s not to love? Steam the cauliflower until fork tender, about 10 minutes. Cool to room temperature for 20-30 minutes. Place the cauliflower florets in a large bowl. Add celery, onion, eggs, and parsley. Whisk mustard, oil, vinegar, and salt together until combined. Pour over cauliflower and stir gently. Chill before serving. 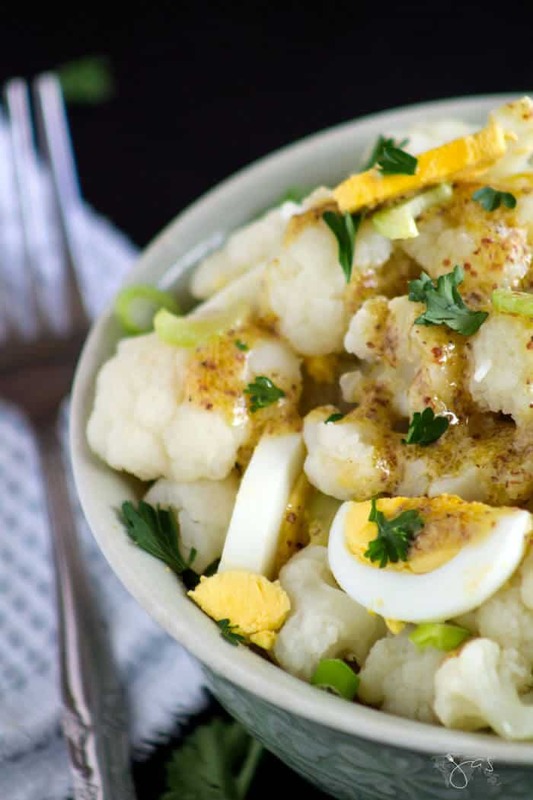 This cauliflower salad is a great low-carb alternative to a classic potato salad. Delicious and heart-healthy! Pour over cauliflower and stir gently. Chil before serving. Thanks for stopping by Meredith! I recently learned how versatile is cauliflower!